Learn about the robust capabilities of Adaptive Consolidation. Dramatically reduce manual processes, accelerate accurate financial results, streamline allocations, and more—all in real time. Since Adaptive Consolidation is part of the Adaptive Suite, take your close the extra mile with powerful reporting and analytics. Learn about the power of cloud dashboard software and visual analytics designed for use by executives, line-of-business managers, data analysts, finance, and operations. Adaptive Discovery makes it simple to create and deliver dashboards, drill down into data, and even perform what-if analyses on the fly. Hear how our customers transformed their businesses with Adaptive Insights. Adaptive Insights' software solutions accelerate routine reporting processes, offer more transparency in planning, and enable CFOs and finance teams take on more strategic roles in their companies. 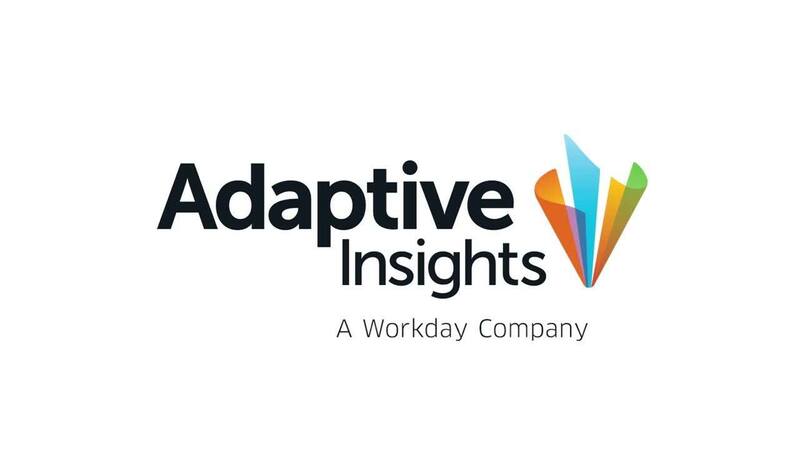 Watch as attendees, Adaptive Insights Founder Rob Hull, and CEO Tom Bogan share highlights of Adaptive Live 2015. The annual customer-focused conference connects global users with the Adaptive team, introduces new products and features, and empowers finance professionals in their evolving roles. Get an overview of creating professional, up-to-date reports using Adaptive OfficeConnect. Easily produce reports in Microsoft Office formats, including Word and Excel, without needing to reformat or recreate data. Live connection with Adaptive Planning and Adaptive Consolidation ensure reports contain the latest information. See how Adaptive Suite accelerates your business performance on all fronts. Established on a cloud-based platform, the Adaptive Suite puts planning, forecasting, analytics, financial consolidation, and reporting at your fingertips. The intuitive interface enables anyone, anywhere, at any time to set goals and achieve results. The EY Entrepreneur Of The Year® 2016 Award in the Northern California Region, recognizes entrepreneurs who demonstrate excellence and extraordinary success in such areas as innovation, financial performance, and personal commitment to their businesses and communities. Rob Hull was selected as a finalist by a panel of independent judges. Learn about the challenges CFOs are facing and how Adaptive Consolidation can improve collaboration, reporting, and finance processes in your organization. Adaptive Consolidation produces presentation-quality reports, runs with real-time data, and offers self-service reporting capabilities. Gary Beach, senior solutions specialist at Adaptive Insights, discusses financial management challenges—time, control, and accuracy—and how to overcome them with reporting best practices: automation, data accessibility, single version of truth, and connected processes. Take a high-level look at how cloud-based corporate performance management and business intelligence solutions enable finance leaders to see more, build trust, and act with confidence in today’s fast-moving business environment. Andrea Smith, director of worldwide product support at Adaptive Insights, speaks at an Adaptive Roadshow event about finance best practices for managing growth. Learn more about the growing strategic influence of the finance organization. As product life cycles shorten, markets become more segmented, and competition intensifies, finance leaders need to reinvent their roles accordingly, using advanced technologies to continue adding data-driven value in executive decision-making. Take the pain out of the monthly close through consolidation on a single platform. While weathering technology shifts and a tough competitive environment, today’s controller must maintain focus on streamlining accounting activities. Unifying consolidation helps reduce costs and keep the close process precise and accurate.